Analog hygrometer will allow one to measure relative humidity. This is also known as (RH). Why is this important? Because, cigars should be stored between 65-72% RH. This will ensure your cigars stay fresh and are aging properly. Analog hygrometer will look outstanding while still allowing you to ensure your cigars are being stored in the proper environment. All the while looking great doing it. Not accurate as digital hygrometers. These can also be calibrated to ensure that your are receiving the proper reading. 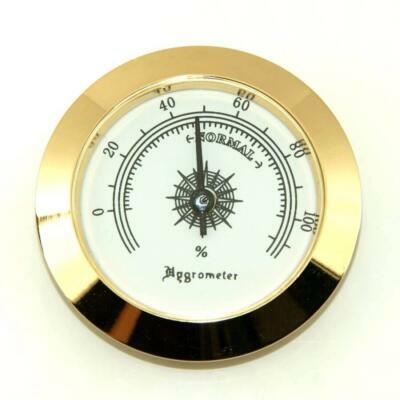 After all what good is any hygrometer if you are not receiving the proper reading? To calibrate and adjust one you can use the simple but effective salt test. We have put together a step by step video on how to calibrate your hygrometer. This video can also be used on digital hygrometers.